I love almost every scene in The 400 Blows, but this one especially delights me, and it doesn’t get nearly enough press. This random kid who doesn’t appear much in the film (he’s also got a funny couple of seconds when all the kids are peeling off from behind the teacher when walking through town) can’t quite seem to get his ink pen and notebook to play nicely together. “Dignity. 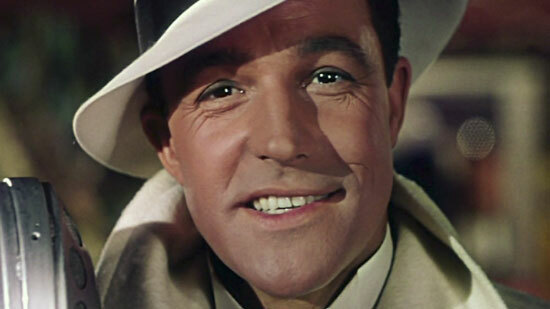 Always dignity.” Really, I could’ve picked any scene from Singin’ in the Rain and it would’ve fit the criteria for this list. Every moment in this film is perfection. So why not the moment when Don Lockwood proclaims his motto in life while the montage shows us quite the contrary? Perfection. Sure, this music is based on Carl Off’s Gassenhauer, but it’s beautifully rendered by Hans Zimmer. And sure, the dreamy, poetic voiceover is an homage to Terrence Malick’s Badlands (which also used Gassenhauer-like music). But for me, these two things together made me fall in love with True Romance instantly, even more so than Badlands. The clip contains spoilers for the end of the film. Sorry about the aspect ratio. YouTube should be banning bad-aspect-ratio uploaders instead of legitimate fair use uploaders. But I digress. It is my studied opinion that Nick and Nora Charles are the greatest married couple ever portrayed on film. As Anjelica Huston stated when presenting Myrna Loy with an honorary Oscar in 1991, Nick and Nora showed that there could be life after marriage. 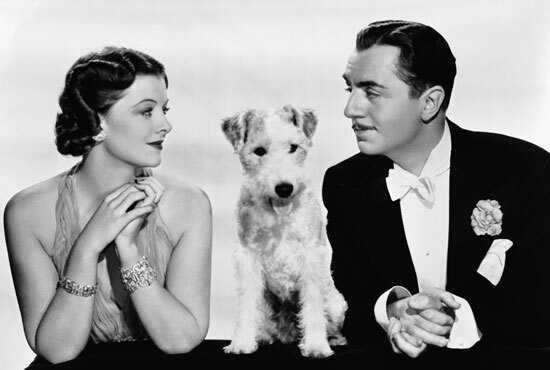 Indeed, in the Thin Man movies, they present a marriage that works on every level – they joke and kid and drink like the best of friends, but drop everything else when the other truly needs something. They’re spouting some of the most witty and sophisticated dialogue ever written, but when either of them are threatened, the concern is palpable. When Nick jokes about his relationship with a pretty girl, Nora matches him, clearly so sure of his love that no other woman holds any threat, and she’s right. It’s wonderful to see. This is the “Waltz of the Flowers” section of the piece; the whole thing is too long to fit in one YouTube video. I love it all, but the part that makes my heart soar every time is the climactic bit when the frost skaters take off full bore, and the music does too. Granted, the music by itself makes my heart soar at that point, but add in perfectly realized animation, and it’s just breathtaking. A common modern criticism of silent films (or a reason given why people can’t get into them) is the exaggerated acting they encourage, since performers had to indicate everything through expression and movement rather than dialogue. Fair enough, but watch enough silent films and the sheer physicality of them becomes intoxicating. The clip below is of Douglas Fairbanks in The Three Musketeers (check out 4:34 for a particularly good example of his athleticism), but it’s not only in adventure films where action is expected – it’s in comedies, dramas, everything. The way people always run rather than walk, the way a light tap on the shoulder sends people flying, the way a threatening gesture takes up the whole screen. I love it. 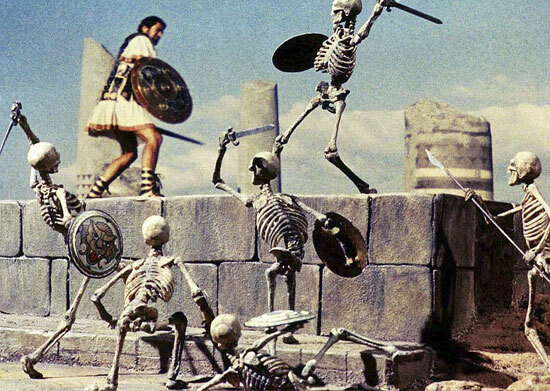 Special effects have come a long way since the beginnings of cinema, and well-done CGI has its place, but I have a special soft spot for old-school practical effects like scale models and stop-motion animation. Stop-motion and modeling has a long history from silent adventure through King Kong and Ray Harryhausen all the way up to Star Wars and Jurassic Park, and as good as computer-generated effects are these days, there’s something about the tactile nature of models that simply can’t be replicated. Movies don’t come often to this film’s remote Spanish village, and when a print comes through, the whole town turns out for it – the film is Frankenstein, and soon the little girl who’s prominently featured in this clip (asking her sister why he killed the little girl at the end) will lose herself in imaginings brought out by the film. But first, the magic of cinema takes hold. Robin Hood and his band are causing all kinds of bother for Prince John and his cohorts, but they don’t know how to stop him. “How do we even find him? 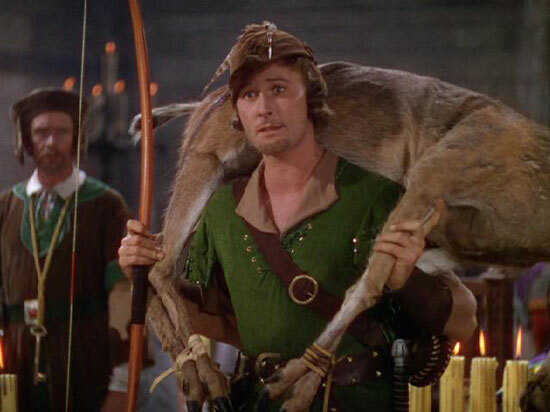 !” Cut to Robin sauntering straight into the Prince’s Great Hall with one of the royal deer slung across his shoulders. It’s one of the great entrances in film history. Initially I was looking for a scene featuring Kim Pine, since she’s my favorite character, but couldn’t find exactly what I wanted. Then I came across this scene and decided that Ramona’s giant hammer that she keeps in her purse definitely captures everything I love about this film. I mean, Thor can just go home now. Ramona’s already got his hammer beat by a mile. It’s tough to find a modern film with a romance as restrained and moving as this one. 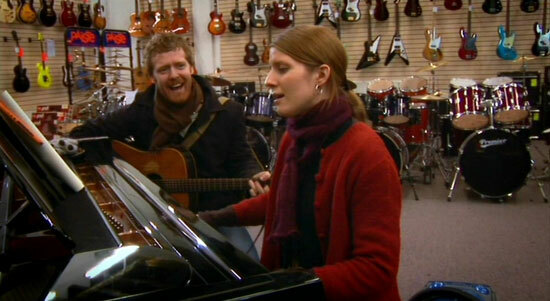 The two characters in Once are brought together by shared love of music, and eventually more, but it’s very subtle. When the end comes, it’s a bittersweetness of the very best kind. F.W. Murnau was known as one of the foremost stylists of German Expressionism and its peculiar combination of high contrast lighting, moody shadows, and surrealistic touches. This sequence from Sunrise stands as one of the most gorgeous he ever created, as the vamp tries to convince a straying husband away from his wife with the siren call of the city. This film is so delightfully absurd the whole way through, and yet my favorite moment remains one that was in the trailer – when the giant snowball-throwing penguin robot tosses a snowball from its arctic location and it ends up hitting a deer in the middle of a summery forest. And if any of that sentence made you go WTF, congratulations. You have understood A Town Called Panic perfectly. The Big Trail was the first sound film shot completely outdoors on location, and also used an early widescreen process. That pays off handsomely in a couple of sequences in particular: the river crossing scene below and a section where they lower all the wagons over a cliff (YouTube). The film lacks a solid score, like many early sound films, which makes the scenes somehow more eerie and realistic. Oh, and the film also turned Marion Morrison into John Wayne. This 1977 Japanese film is the most bizarre and awesome thing I’ve seen in my life. 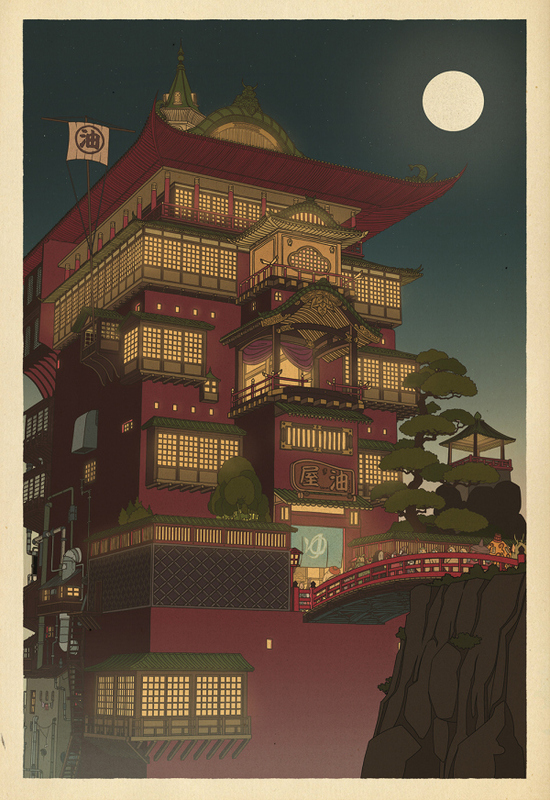 It has everything – Japanese school children on vacation, killer houses, talking severed heads, girl-eating pianos, animation (hand-drawn, stop-motion, and cut-out), and every single cinematic technique you can think of. I think there’s even a kitchen sink in there somewhere. So, simply for existing, I salute you, Hausu. 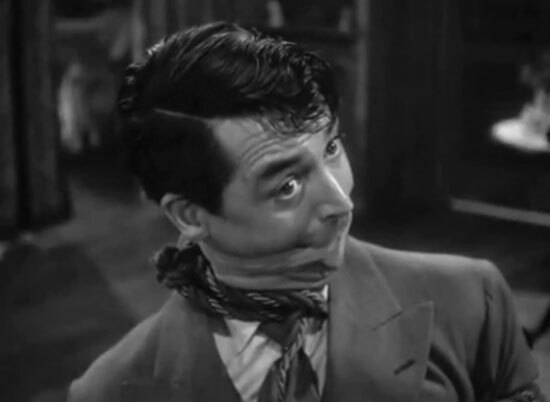 Grant is said to have disliked his performance in Arsenic and Old Lace, preferring the more subtle comedy of some of his other roles. But he’s so damned GOOD at it, that I must disagree with him. Everything is ace is this film, but Grant sets the farcical tone that perfectly offsets the morbidity of the plot itself. Spoilers! This is the very end of Monte Hellman’s furiously independent 1971 feature, about two drivers who live on the road, challenging locals to street races everywhere they go. After a prolonged cross-country race where the Driver eventually loses both his girl and and his major rival, he sets up for another race – and as he drives, the sound cuts out and the film breaks, stops, and burns. It’s a startling ending, and yet a perfect one for the character and the film. The angles, the contrasts, the curves, the surreal sets depicting places that would never exist in real life, all creating a sense of heightened emotional and mental disturbance – German Expressionism finds its most extreme visuals in The Cabinet of Dr. Caligari, but it’s also clear in the work of F.W. Murnau and Fritz Lang, repurposed in film noir and the gothic cinema of Night of the Hunter, and on through both avant-garde and commercial work up to this day. I love it. Max Ophüls is famous for his circular tracking shots, a none-too-easy technique when tracking actually meant laying railroad tracks to move the cameras around on. This is one of his best, following a pair of dancers throughout a scene that takes place over many nights and many parties, but thanks to Ophüls camera, is merged into one extremely fluid scene. When George Romero revolutionized zombie movies back in 1968, he did more than create the modern version of the living dead. He reversed a trope that’s still active in most horror films, having the black character take charge and be the last man standing instead of the comic relief and first to die. This is even more revolutionary when you consider this is 1968, the center of the civil rights movement. And even more so when you consider that previous depictions of zombies had strongly played up the voodoo origins and connection to the black slave community, usually using zombies as a metaphor for slavery. 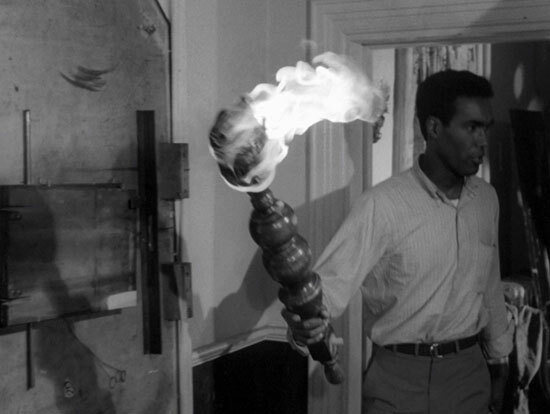 A black man standing against white zombies is the real salient point of Night of the Living Dead. Film burning in Two-Lane Blacktop. I found this movie by accident. I was browsing DVDs at Borders and it caught my eye. I read the description and wondered how I had missed the movie, being a fan of car movies, James Taylor, Warren Oates, and Dennis Wilson. Then I found out the ’55 Chevy was the same one used in American Graffiti (my all-time favorite movie). I was sold. I loved the whole movie and was very surprised by the ending. I have sense upgraded to Criterion DVD. My favorite movie of 1971. Rapid fire dialog in His Girl Friday. 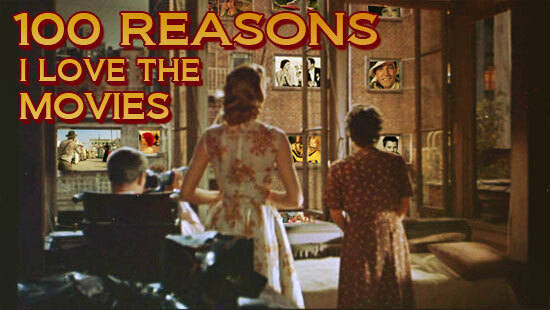 I love the screwball comedies and this one is among the best of the best. Tiny Dancer in Almost Famous. My favorite movie since the turn of of the millennium and that scene is among my favorites. It comes at the point in the movie after all the crap has been going on, then the song starts playing and they all come together. For me it shows their love for the music. It definitely took me a while to put together! But it was worth it. It’s a pretty solid distillation of my movie tastes. I don’t find too many other people who’ve even seen Two-Lane Blacktop! I happened upon it one Christmas break when I was getting tons of movies from the library. I think I was just starting to be interested in early independent film and this one popped up in the reading I was doing, and then it happened to be at the library. I was blown away. I’d never seen a film quite like it before – and haven’t really since. 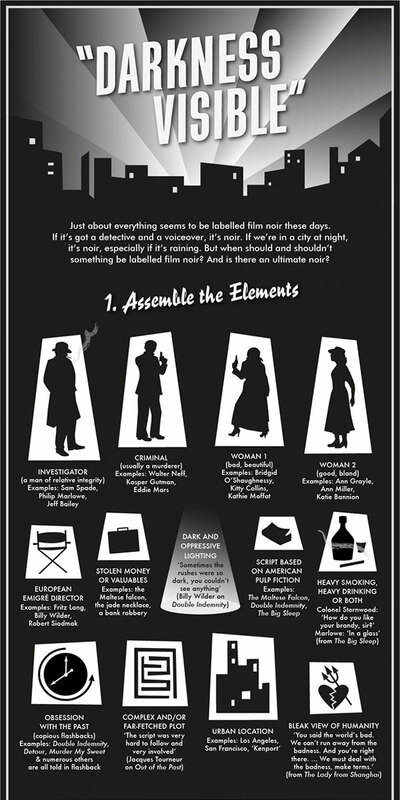 His Girl Friday – yep, screwball comedies are among my favorites. Love them so much. I could watch His Girl Friday over and over.